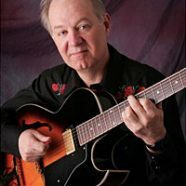 In addition to your fabulous guitar work with bands such as The Rhythm Rangers, Under the Radar, Mark McLay & the Dustdevils, Laughing Gravy and Modern Hicks, you’ve also performed with a number of singer/songwriters over the years. From your perspective, what are the most important “success factors” a songwriter should consider when trying to get exposure for their original music? The first thing I think of is: write something real, keep it simple and honest. Despite what the big record companies say people are hungry for songs that reflect back to them, or speak for them, some aspect of their own real lived experience. If you write a true song people will respond. That’s the first step. After that, and this is where most of us fail, you have to promote yourself and your songs. Many of the songwriters I’ve met are great at getting a song written but not so good at knowing how to promote themselves, or who to promote themselves to. I guess that’d be step three: know your audience, know who you’re writing for. If you believe in your songs it’ll be easier to get out there and play ’em for, or pitch them to,the right folks. I suppose the fourth step would be something like: anticipate the long haul. It’s pretty rare that people hit it big overnight as songwriters or performers. If you anticipate that you’re in a better position to not be disappointed and can go on loving what you do as you continually hone your craft. I think of Caren Armstrong and Audrey Auld Mezera, two really great songwriters I’ve had the honor of playing guitar with, as good examples of artists who embody all of these characteristics. What has been your personal experience as a songwriter? I’m a pitifully slow songwriter. But I’ve written a handful of songs that I think are good enough for me & enjoyable for others. And I’ve recorded a half dozen or so on my CD’s. What’s really a kick is having another performer enjoy your song so much that they do it live or record it. Besides being great fun to hear their interpretation it also is a kind of validation that’s says your work has value beyond you. I’ve also had the good fortune, over the years, to have surrounded myself with very fine songwriter’s. It’s been both inspiring and intimidating. Mostly the former. Especially when you get to sit around and bounce off each other whatever the most recent thing is your working on. Most writer’s I’ve met have been enormously generous in their suggestions and kind in their criticisms. I suppose the last thing to say about my experience as a songwriter is that, for me, it’s a hugely satisfying endeavor. All of my songs come out of experiences in my life and come as a kind of compulsion to make sense in some way of an experience or feeling. Like my song Solid Wrong. I was living out in rural Sonoma County at the time and one day I saw bulldozers plowing over an apple orchard that had been part of a family run operation for at least four decades. But wine is more profitable than apples, I guess, so the family sold the land and the new owners — people who don’t live in this community — made a financial decision that broke my heart. And made me mad. That song was a way to come to terms with that experience. What are the best types of performance venues a songwriter should seek to present their original songs? Well, there are just fewer and fewer places to play out, of course, but live shows are always best in my book. 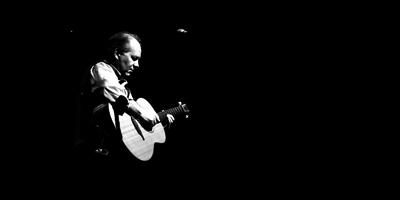 For a number of years I’ve hosted songwriter nights at a venue in Santa Rosa. Typically I would invite 4 or 5 of my favorite writers and do a round robin-type show with myself as the side guy on guitar, reso, mandolin or banjo. So, I think an event that features a number of writers is often a bigger draw. Audiences like the variety and writers grow new fans when people show up to hear another writer. House concerts seem like one of the best kind of venue these days. The settings are intimate, it’s a listening environment, and audiences get to be right up close and personal with the writer’s. I’ve seen this kind of thing pretty consistently go over very well. Of course, websites like YouTube and MySpace have changed everything. We often hear about unknowns who get discovered on these sites. That’s great because you take your material directly to an audience but for every “discovery” there are hundreds, maybe thousands, of really fine writers and performers who are also on line waiting/hoping to be enjoyed by new audiences. What is the single most important insight you’ve thought about that could benefit other songwriters? I like Joe Campbell’s advice, “Follow Your Bliss.” This doesn’t mean you’re guaranteed success, only a guarantee that you’ll love what you’re doing. Of course, if you love what you’re doing you increase the likelihood that you’ll touch or inspire another person, and that you’ll have more success. I have a friend who loves to write political songs. Now I enjoy a good political romp as well as the next person but a whole evening of it starts to wear a little thin. But he loves it, is passionate about it and that’s conveyed to the audience. The result being he can draw & keep engaged an audience with a whole evening of political songs. The English poet Shelly said, “To have great poets, there must be great audiences.” The same applies to songwriters. Appreciate your audience, never underestimate their intelligence, and if you can get them to laugh you can get them to cry.